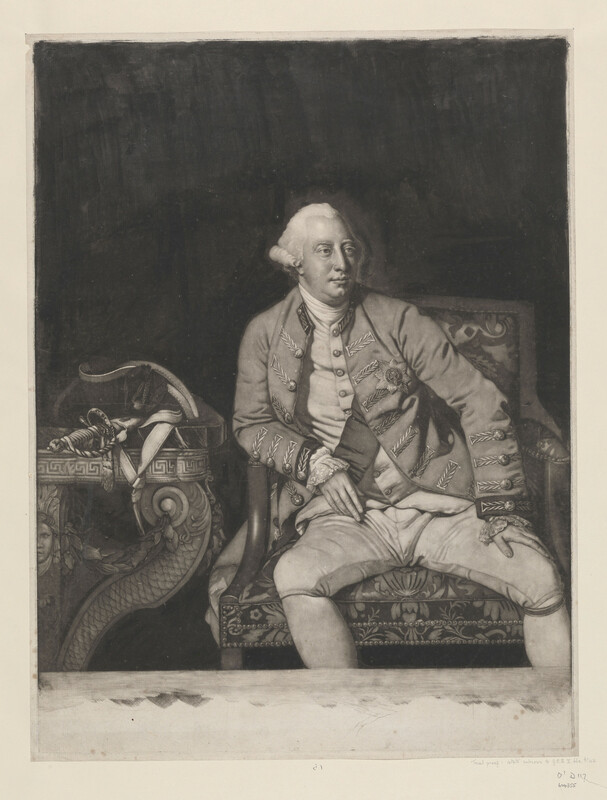 Mezzotint of George III as king. Three quarter length with tied wig, plain tie, embroidered coat with Garter star, and sash over left shoulder. Seated with left hand on leg and right resting at hip, and with a tricorne and sword placed on a table to the left. Touched proof before lettering, with unfinished background darkened with wash, and uncleaned plate. For a later state see RCIN 604356.